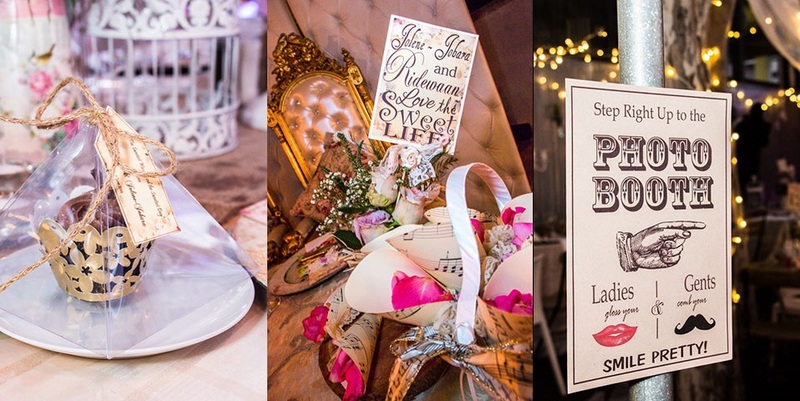 Renowned Event Styling was entrusted with the whimsical task of transforming the union into a modern day fairytale and when it comes to exquisite and unforgettable events of the decadent style, they certainly have all the answers. Marge B encourages her clients to have freedom of expression whilst still gently guiding them, ensuring a flawless finish and spectacular experience every time. 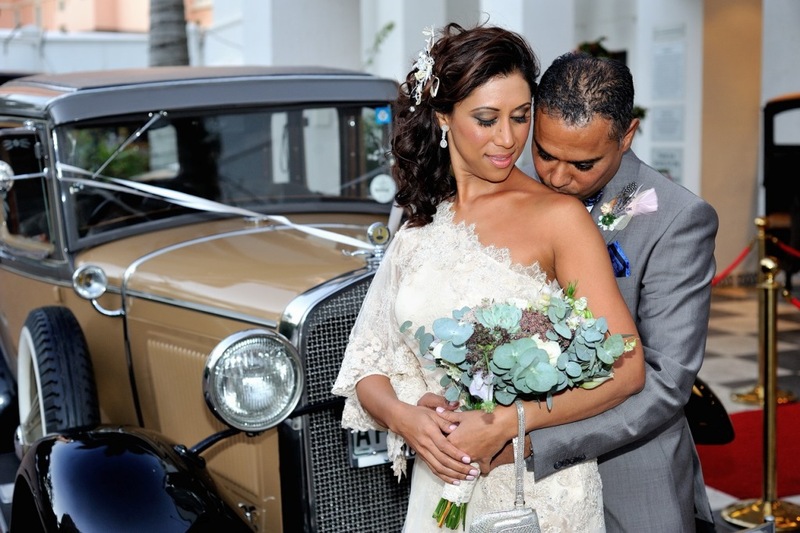 With just a dash of sparkle and every bit of glamour, local couple Ridewaan and Jolene celebrated their love in a gorgeous vintage themed wedding at The Oyster Box Hotel and later on at The Market restaurant in Marriott. 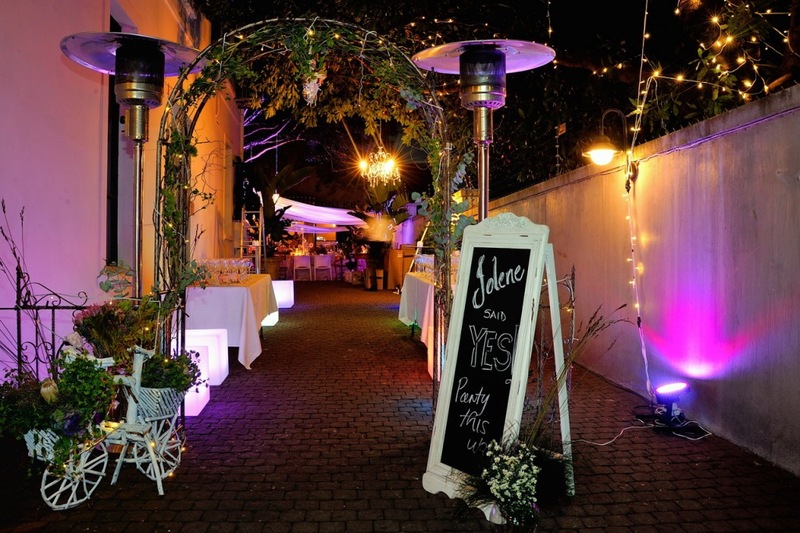 Headed up by Andre Schubert provided the finest cuisine Durban has to offer and an endless supply of entertainment for the children as well as their parents ensured that everyone had a ball. A photo booth, stilt walkers, magicians, fire-poi artists and model welcome hosts, all embraced the evening in true celebrity style. 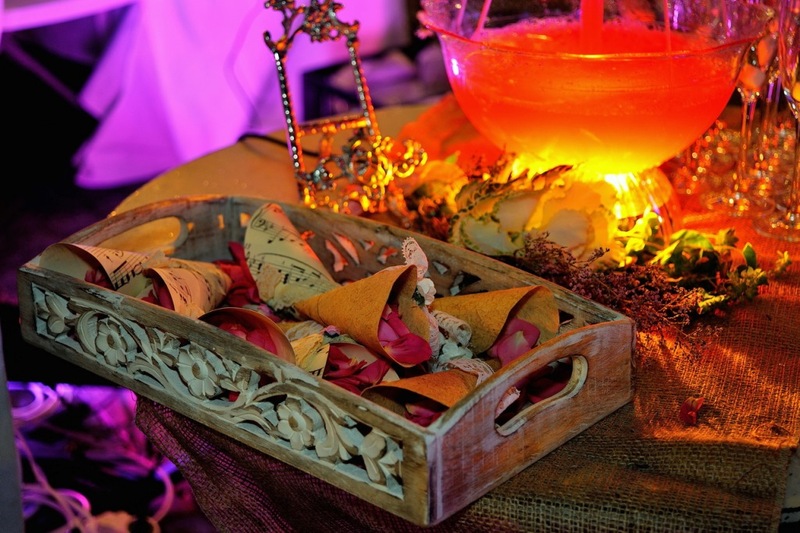 A chocolate fountain, and a pink lemonade fountain greeted guests as they arrived on the red carpet, and the children were escorted to a private game room, greeted by a face painter. Event Styling paid close attention to the bride’s requests and after meeting with the bride-to-be and her distinguished husband to be – The Colonel, this young couple was immediately recognized as a gem to work with. Easy-going, with charming personalities and gentle spirits, this celebrity couple is renowned for their decadence in style, fine dining and luxury travel. Opulence and splendor, amidst a relaxed out-door setting was the order of the day. Paving the way for a new trend and combing the natural beauty of the outdoors, with the glitz and glamour of Vintage Hollywood, we created a scene straight out of a fantasy fable. The colour palette for this romantic celebration consisted of gentle pastels and whispers of pink blush, buttercup, lavender, and lime green with satin-gold accents. Roses and butterflies, gilded bird cages, vintage candles, crystal chandeliers, ice sculptures and a multitude of fairy-lights created an enchanted Parisian garden ambience that set the tone for this show-stopping event. Favours for each guest were delectable, designer cupcakes – guests very own take-away pudding – to be tucked into, during the early hours of the morning. The evening kicked off with the ravishing Bride and her dashing Colonel arriving in a glamorous 1940′s Vintage collector’s item, and guests were a-gasp in awe as she stepped onto the red carpet, with of course her dazzling Jimmy Choo’s leading the way. 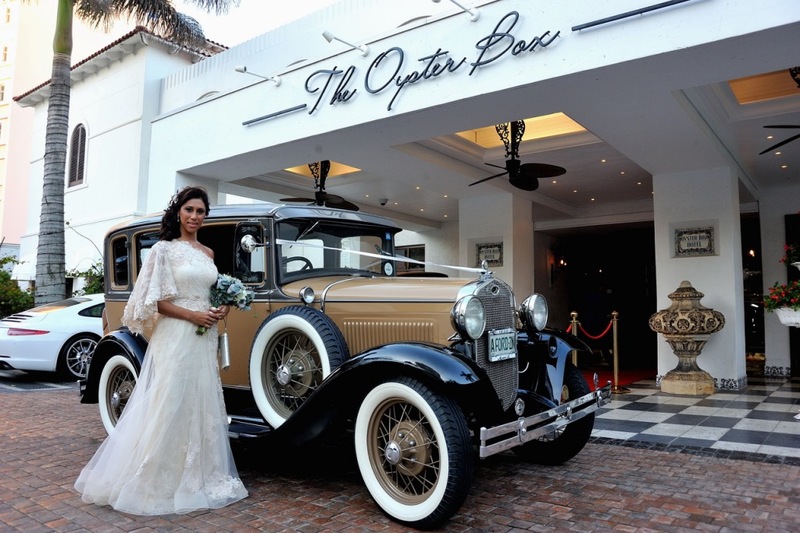 The vintage designer wedding dress Princess Jolene adorned – (one of 18 gowns custom designed especially for her during the wedding build -up) was painstakingly hand-crafted, by none other than Durban’s top Couturier Francois. 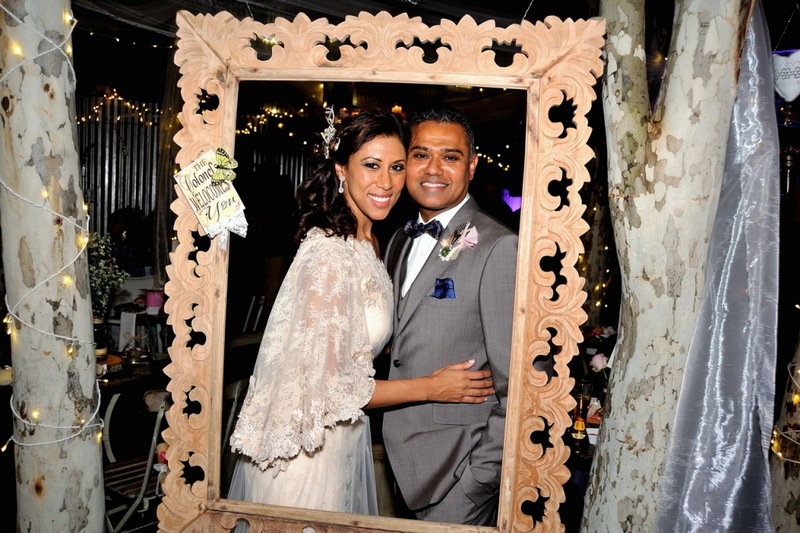 The Colonel’s designer suit had landed at King Shaka International only hours earlier, but all was well in Fairyland as the bride and groom made their way towards the reception, ushered in by dexterous fire–poi artists. 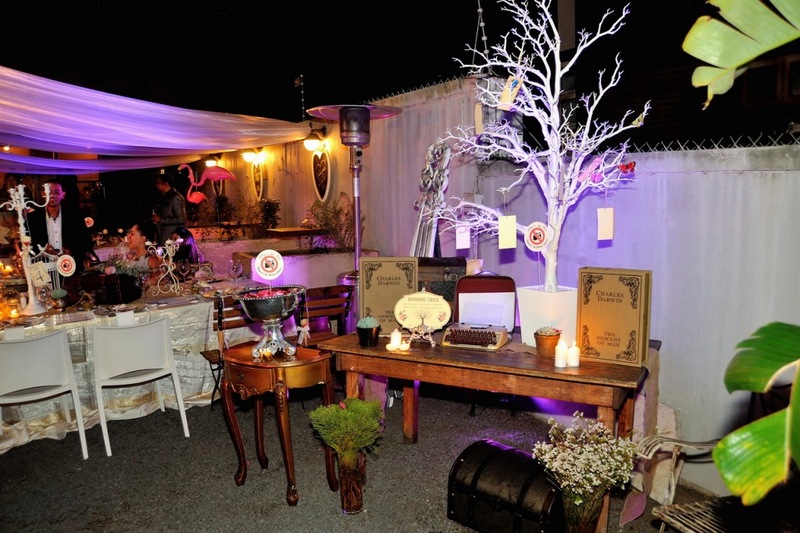 An antique water fountain adorned with floating candles and rose petals added to the mystic and magic of the evening. Entertainment for the night was by the fabulous Gino Veronie, a hidden treasure in KZN with a suprise performance by none other than the groom himself! He unexpectedly serenaded his new bride with his rendition of “To Love Somebody”. 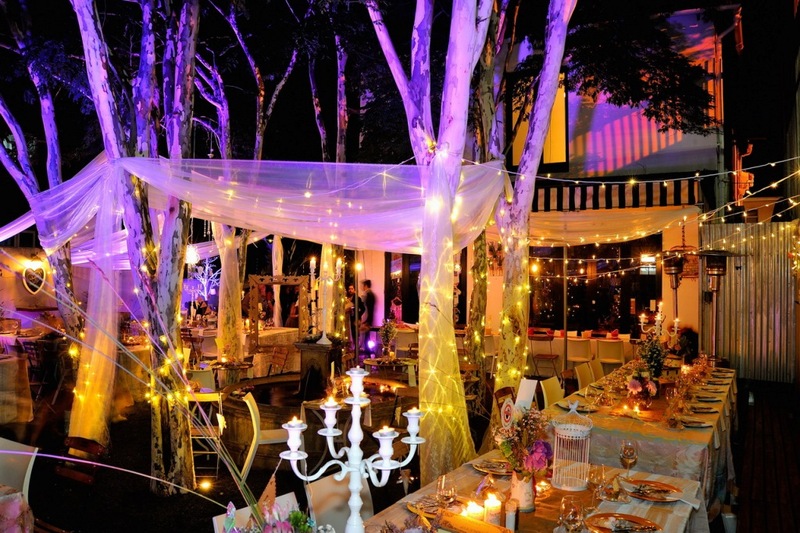 The grand evening was topped with a little added sparkle as each guest was handed a giant sparkler during the cutting of the cake, and soon the enchanted garden was ablaze with glitter. Balloons are currently trending at weddings, and this was included in the event with a multitude of gilded helium balloons to ensure that Jolene’s styled photo-shoot was abreast of this trend. The Princess and The Colonel’s wedding celebration was the ultimate in wedding celebrations, with only the very closest and dearest present to witness the magic of their love in bloom. 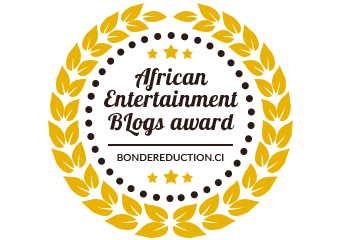 And like all celebrity parties, this one ended up in copious amounts of champagne bursts, amidst roars of laughter and emotional hugs. It’s all reminiscent of an era gone by, when love would do anything for love. Special thanks must be given to the following contributors to The Colonel & Jolene’s Vintage Celebration of Love.